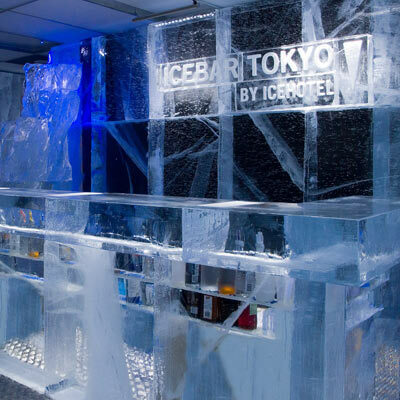 A place that you must visit in the Japan capital is the trendy Tokyo Icebar, in the glamorous Ginza district. Take a few minutes to cover up with a shimmering silver mantel and enter the icy chamber. You gaze at the other customers as they mill around the ice tables as the bartender serves up any number of pricey and surprisingly fluorescent cocktails. It’s a good thing you are not allowed more than 30 minutes, because your wallet will certainly feel the chill. 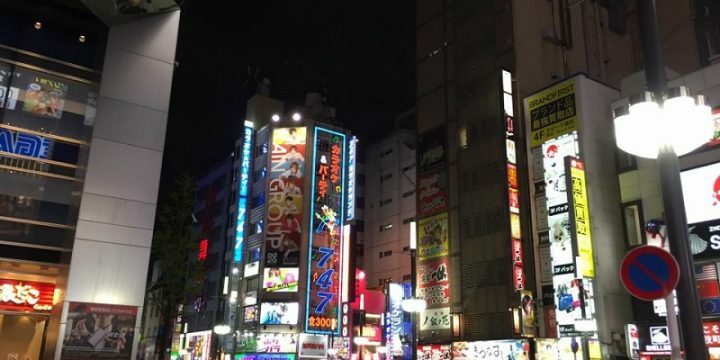 Introduced to Tokyo by the same people who came up with the Ice Hotel in Sweden, organizers claim Japan was an obvious choice for another branch of the Ice Empire. 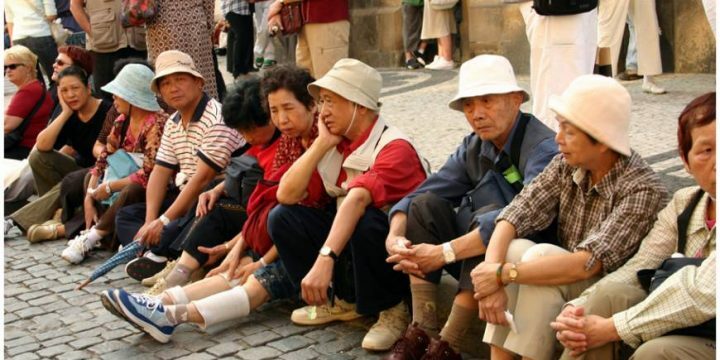 They perceive a strong affinity between Swedish and Japanese people: both peoples enjoy proximity to the sea and a fish-heavy diet that reflects this and both have unique cultural roots. The founding concept of the Ice Bar is encapsulated in the expression in the rocks. 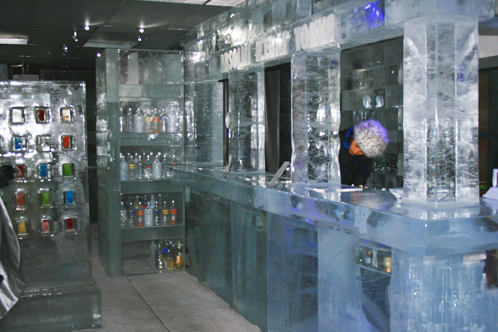 Rather than pouring a drink over a glass full of ice, at the Ice Bar the glasses themselves are made of ice. 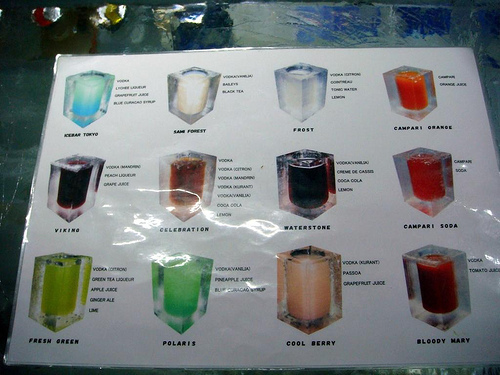 Roughly one million are produced every year and after paying an entrance fee of ¥3,500, you are treated to a house cocktail of your choice in your very own personal ice glass. The ice itself is shipped specially all the way from Lake Torne in northern Sweden, a deep body of water that is frozen between December and June each year. Included in the entrance fee is rental use of a fur-lined cape and gloves so that you can saunter into the foyer area wearing nothing more than shorts and T-shirt before plunging into the sub-zero temperatures of the Ice Bar. The ice bar has a good selection of the usual cocktails but try either an “Icebar Tokyo” (vodka, lychee liqueur, blue curacao and grapefruit) or “Frost” (vodka citron, cointreau, tonic water and lemon) to add a zesty kick to your night. 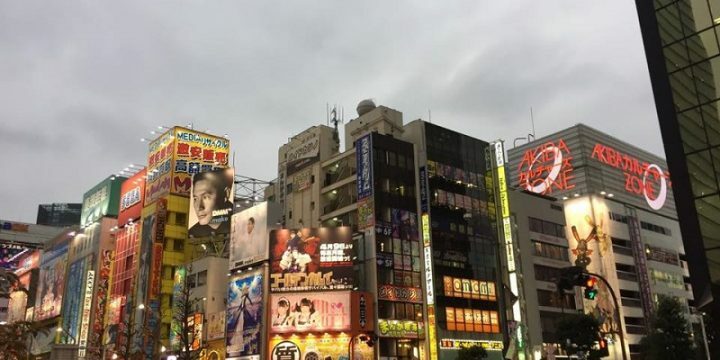 To get there, take the Ginza or Asakusa metro lines to Shimbashi Station and come out of the 5th exit. 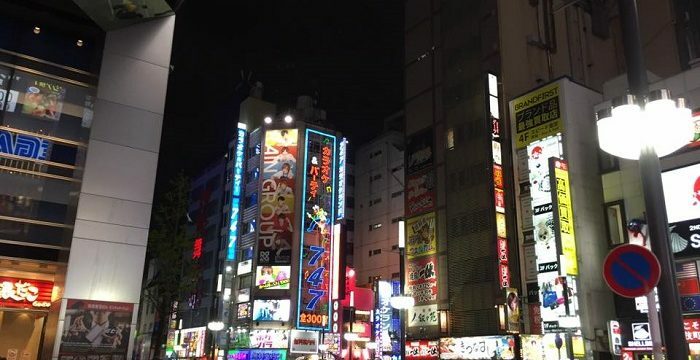 Alternatively, take the JR Yamanote Line to the same station and make sure you take the Ginza Exit. From the ticket gates it is a couple of streets and a few minutes away : for more details check out the excellent, completely bilingual website listed below. Lastly, be sure to book in advance, from as late as a day ahead.